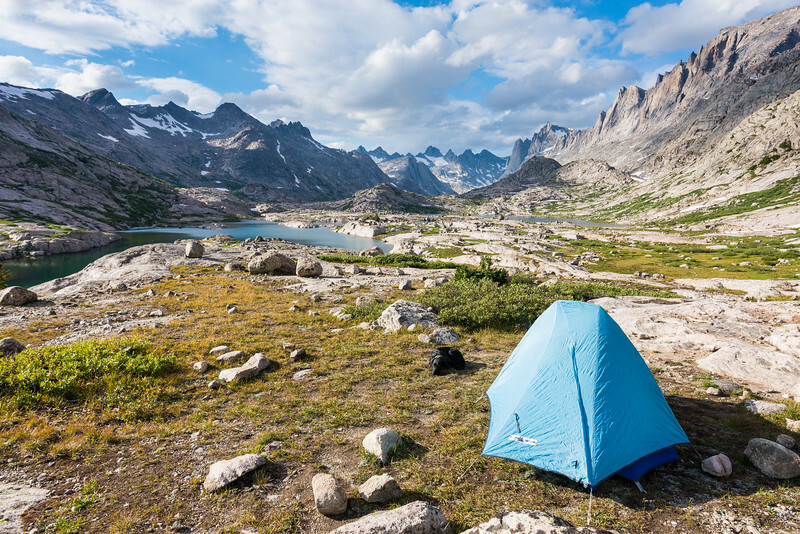 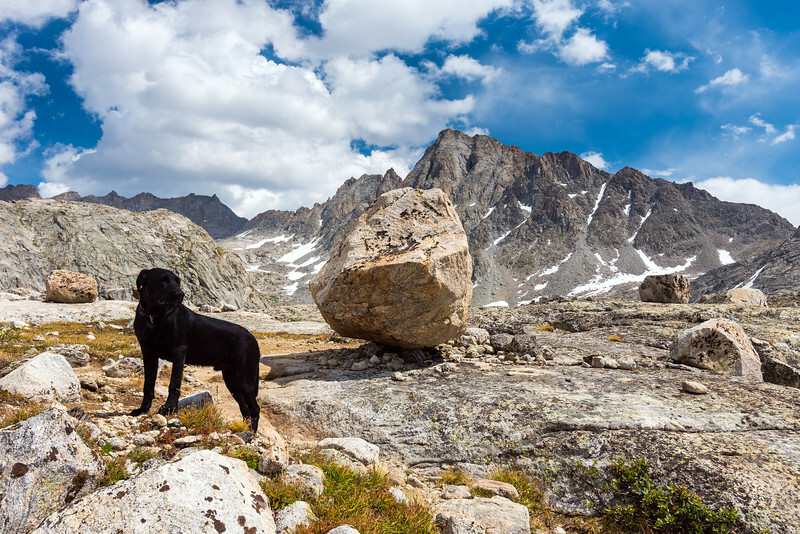 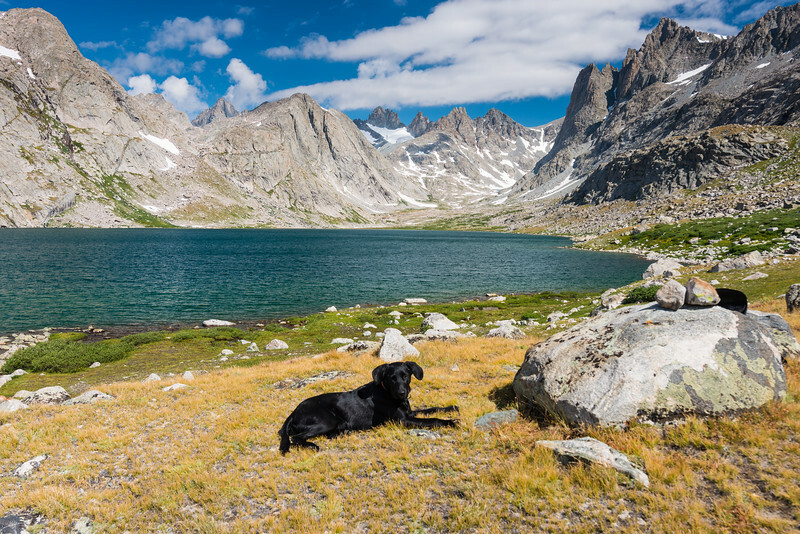 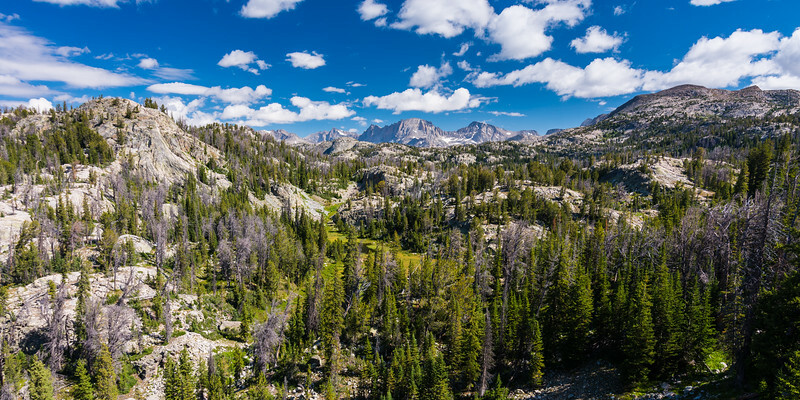 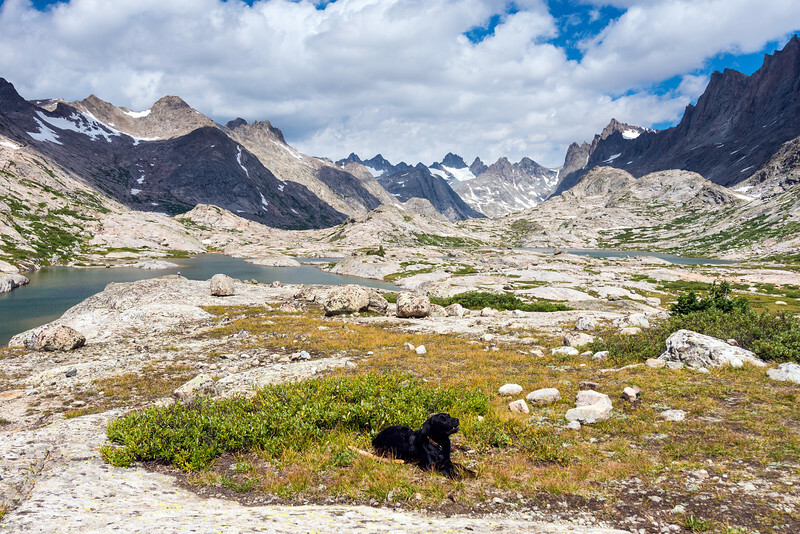 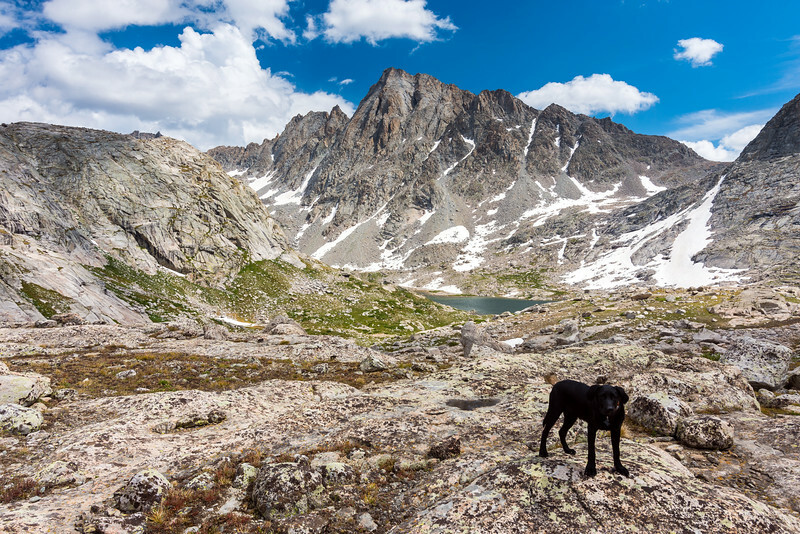 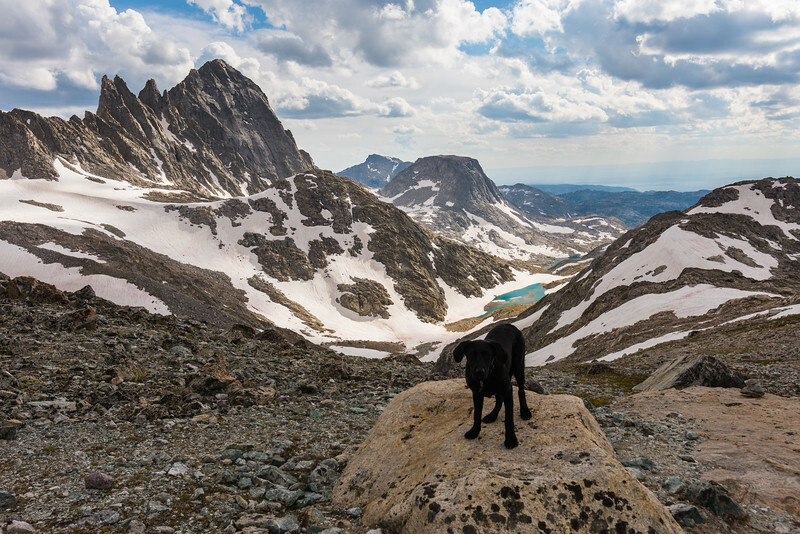 A quick two night basecamp in the Wind River Range with Murphy. 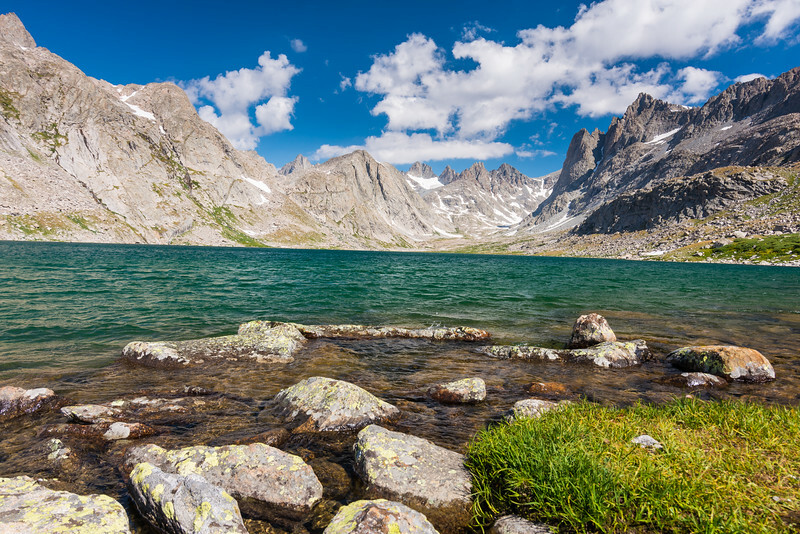 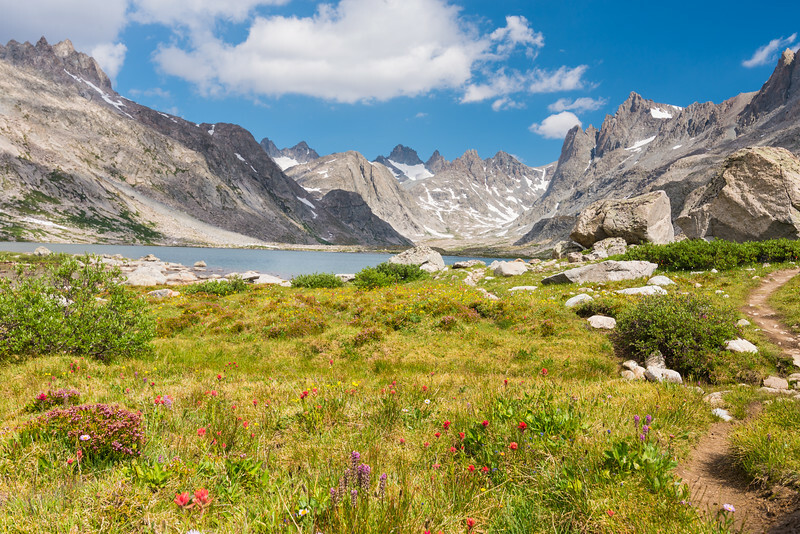 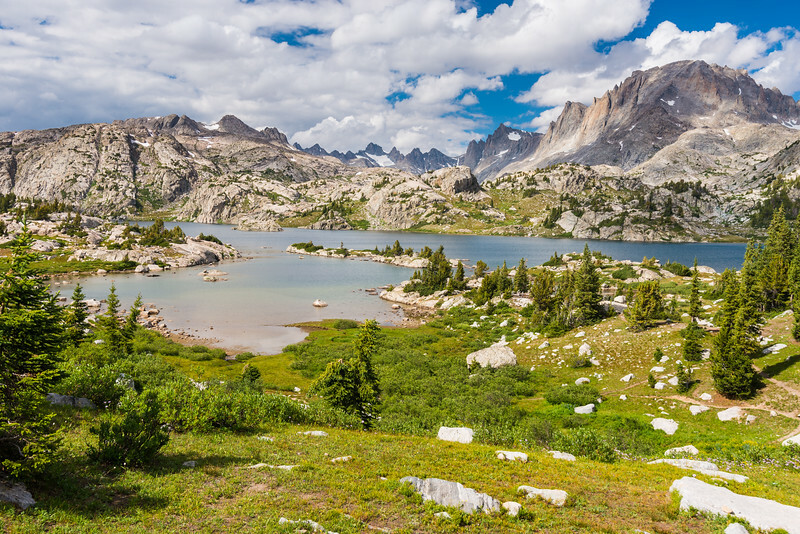 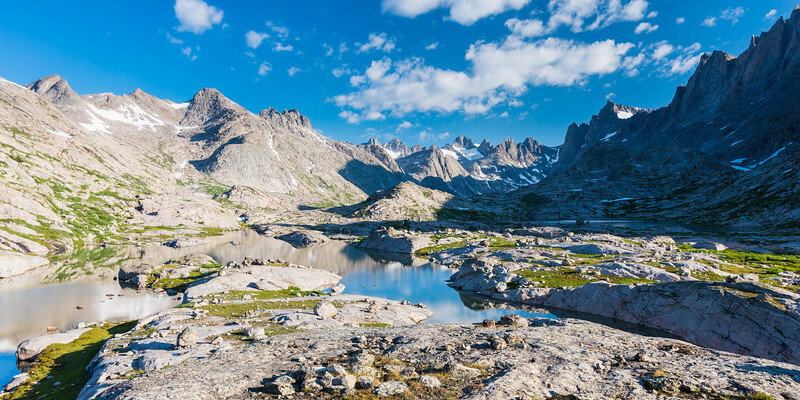 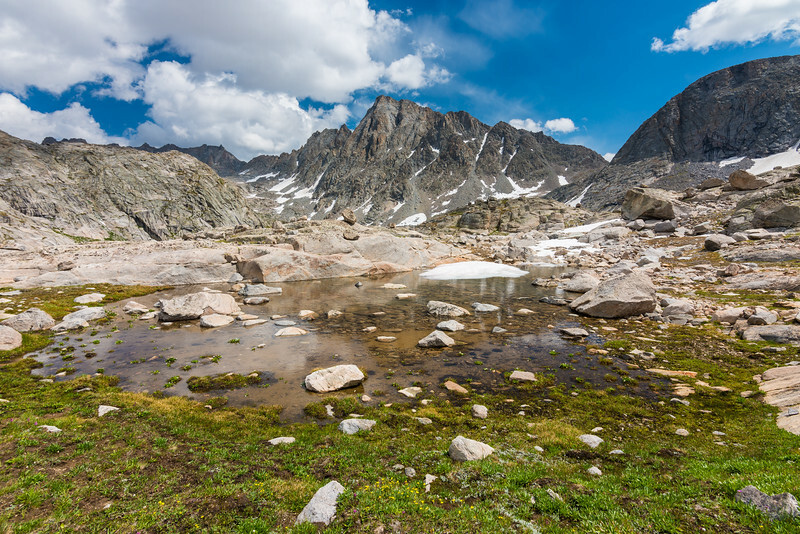 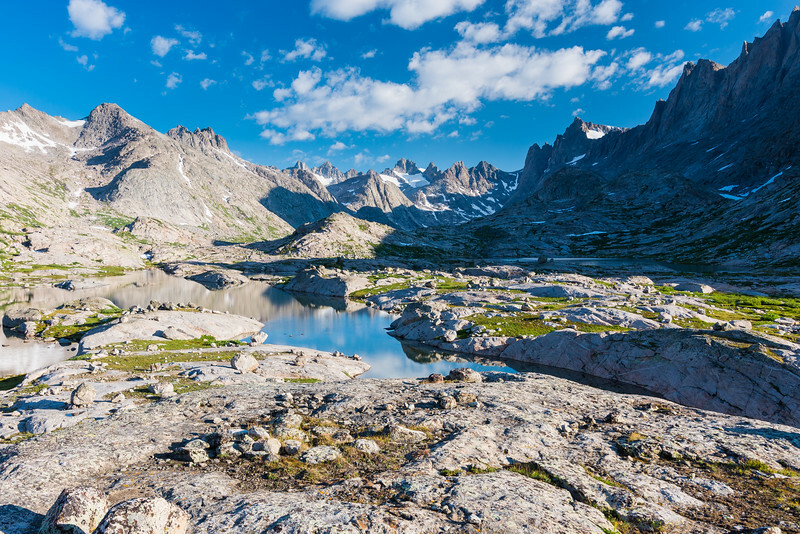 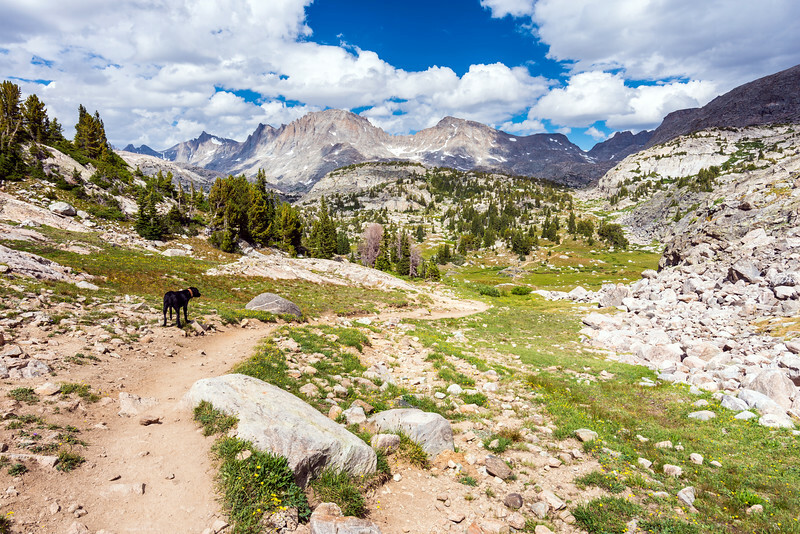 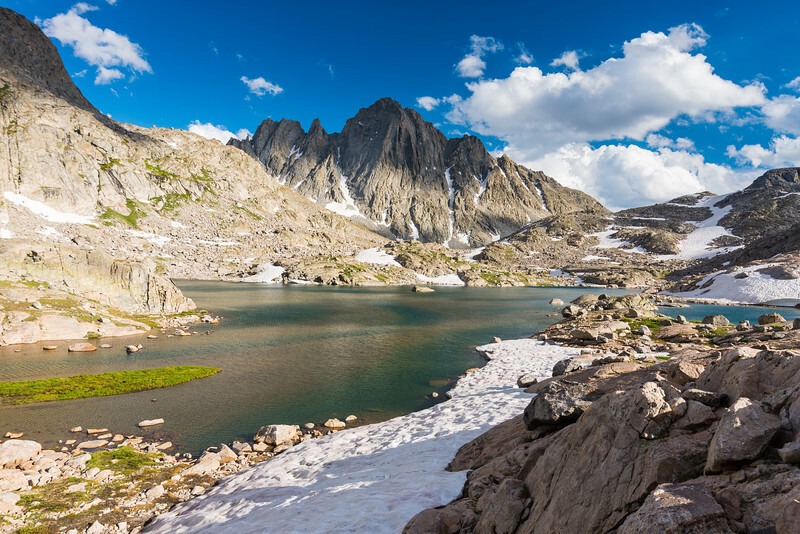 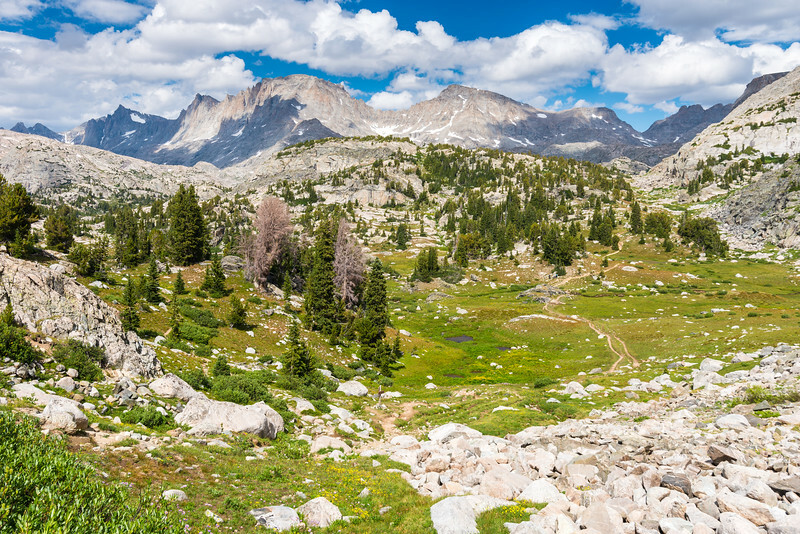 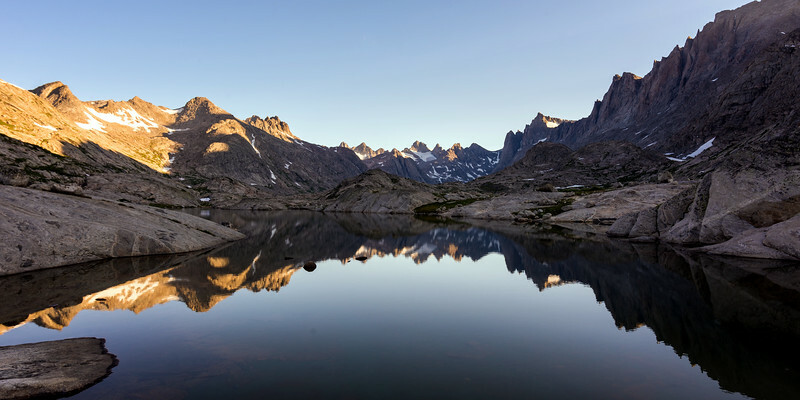 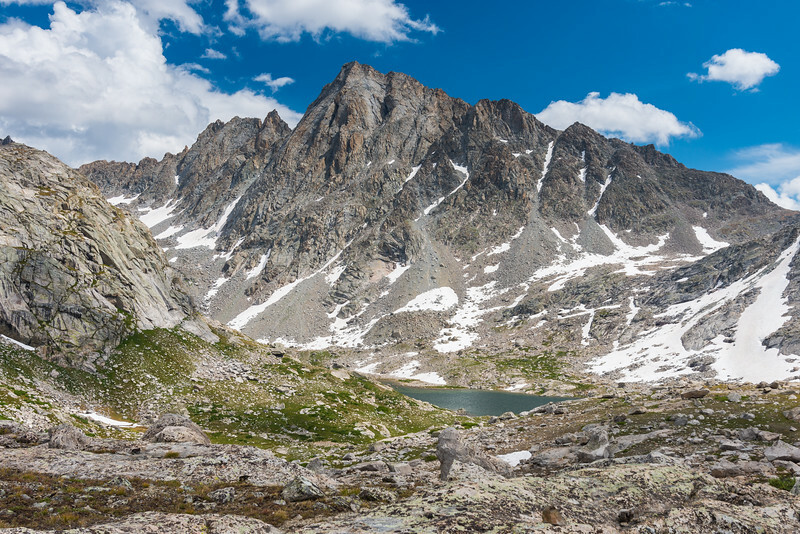 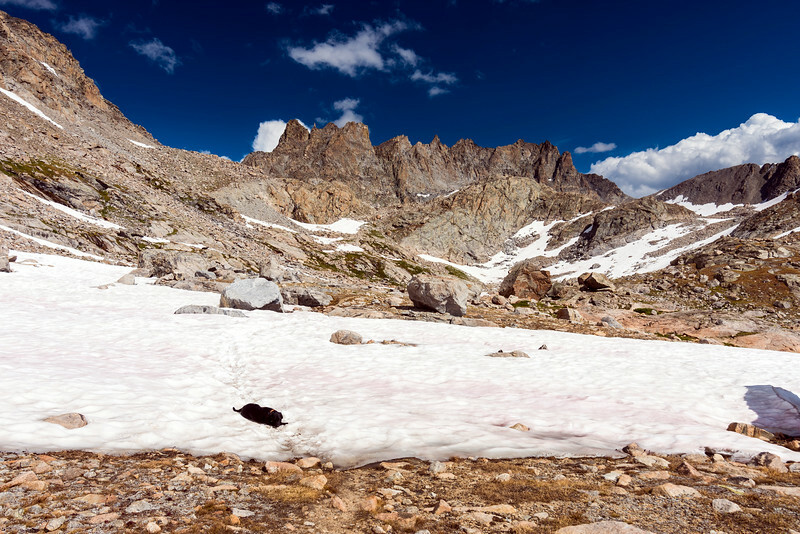 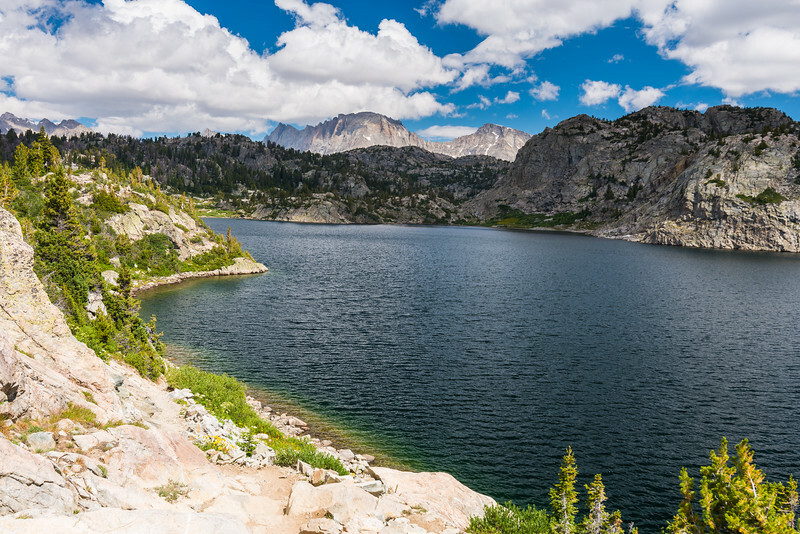 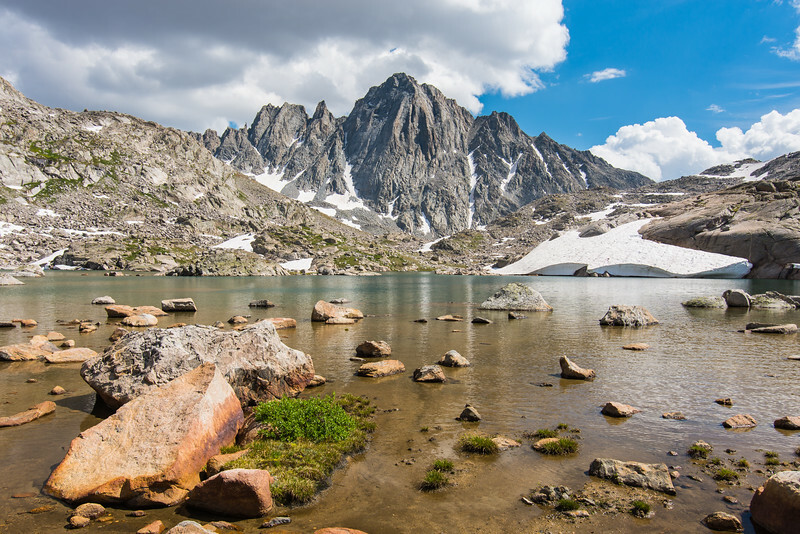 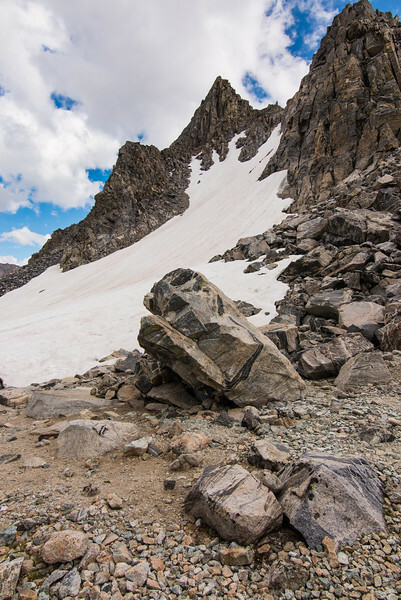 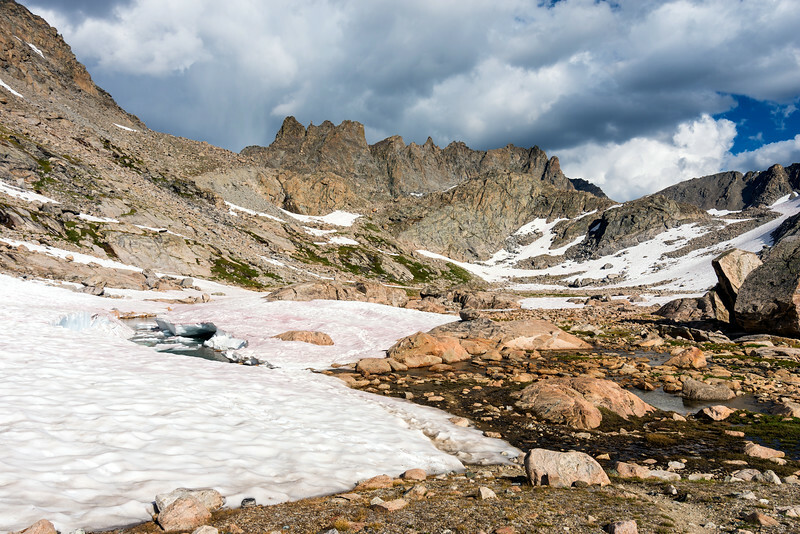 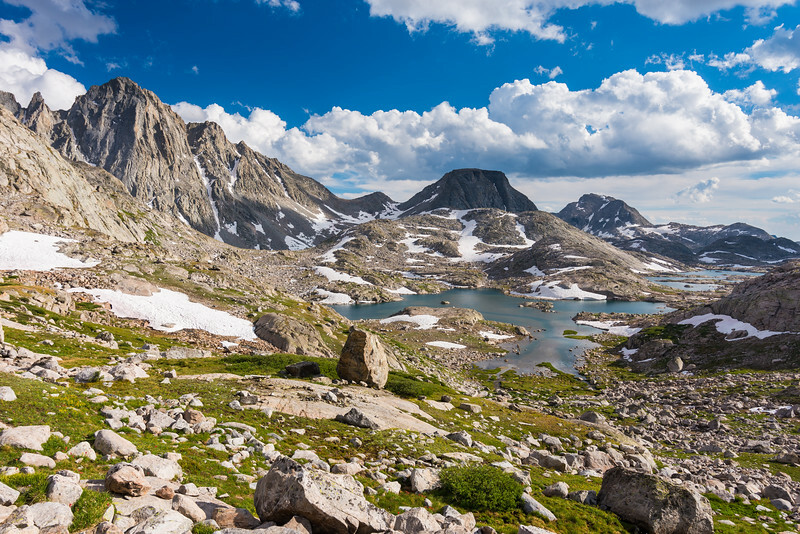 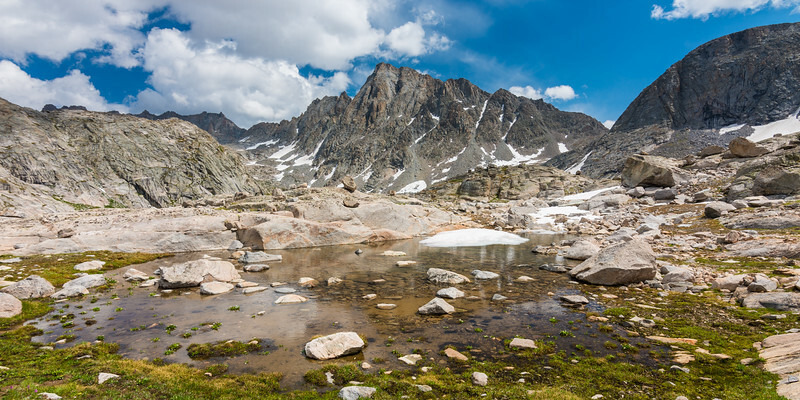 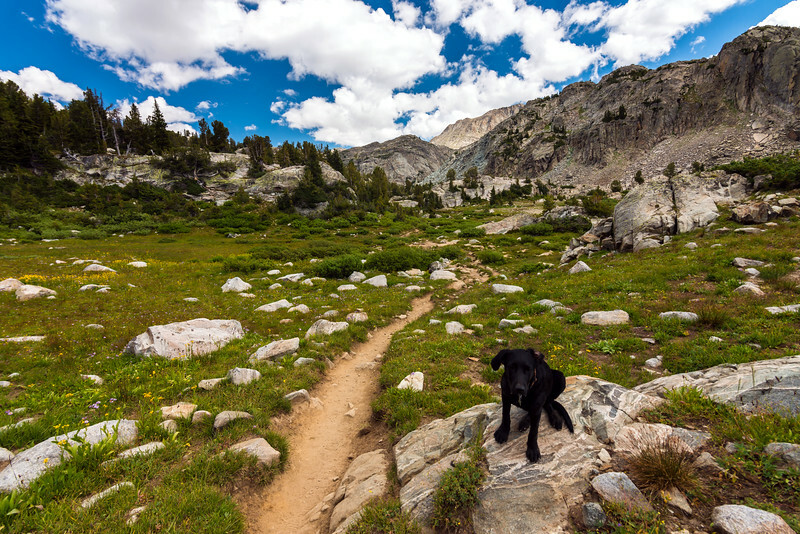 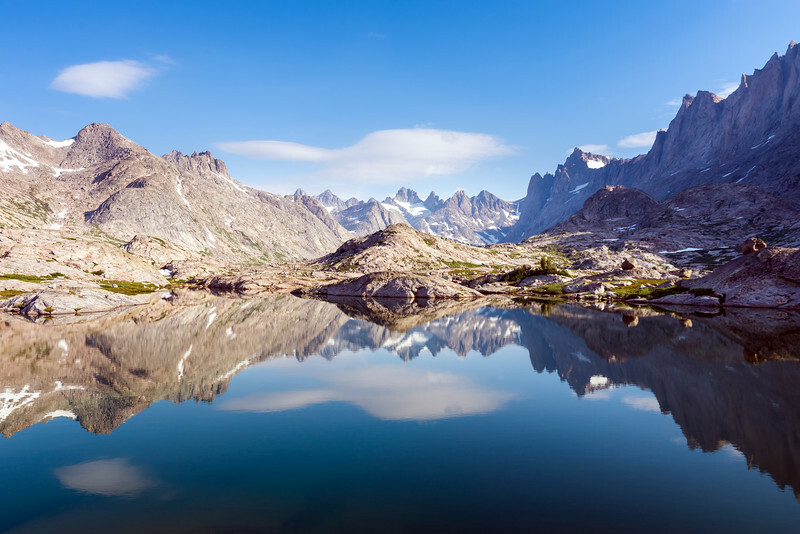 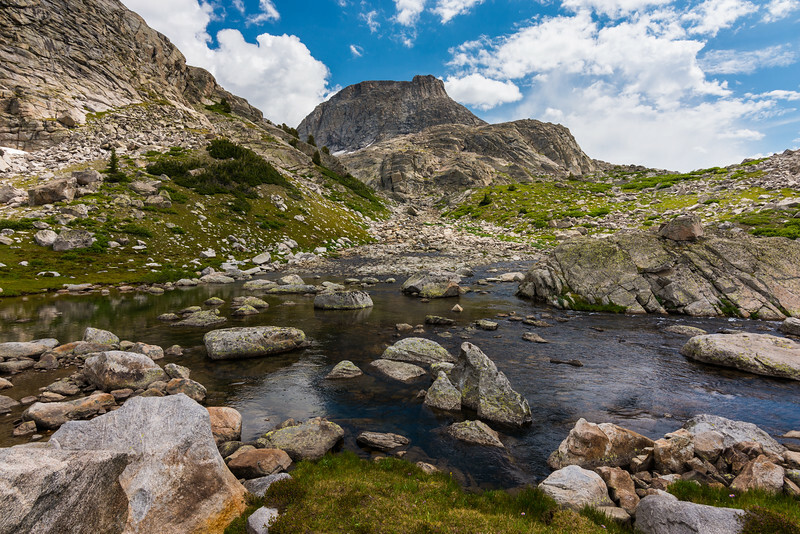 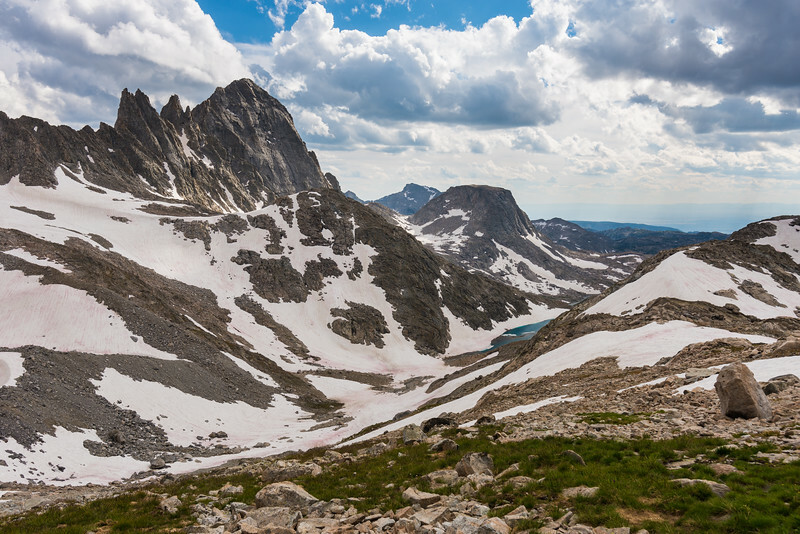 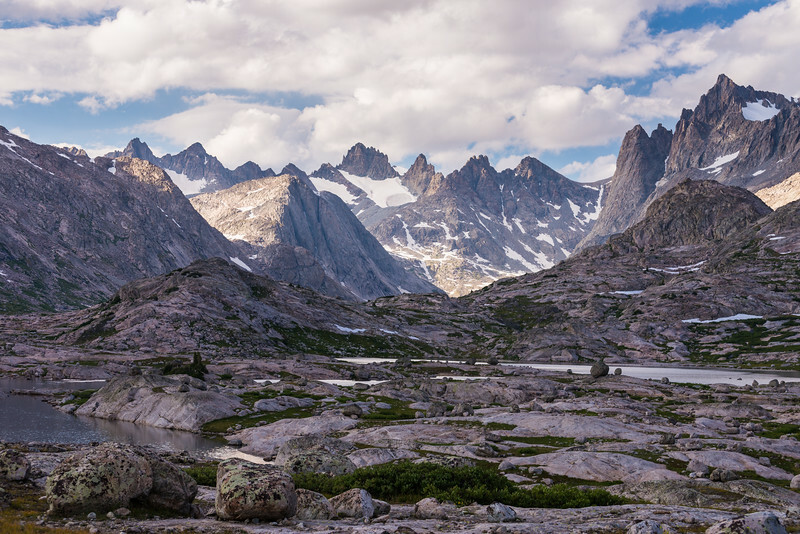 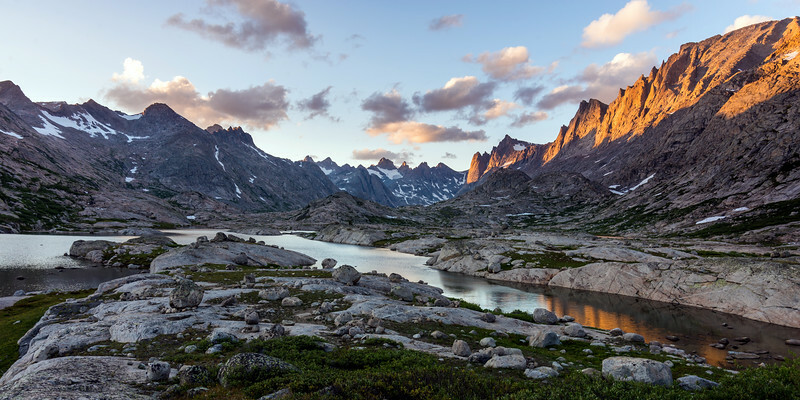 Day one took us from the Elkhart Park trailhead to camp in stunning Titcomb Basin. 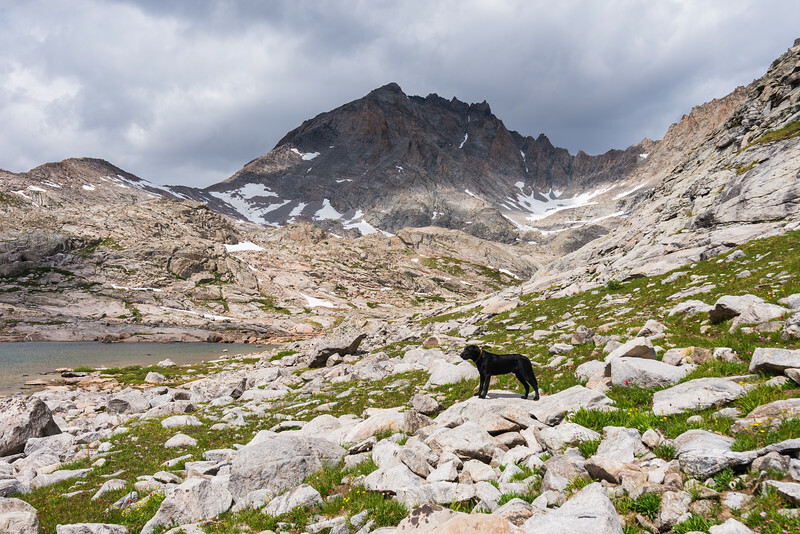 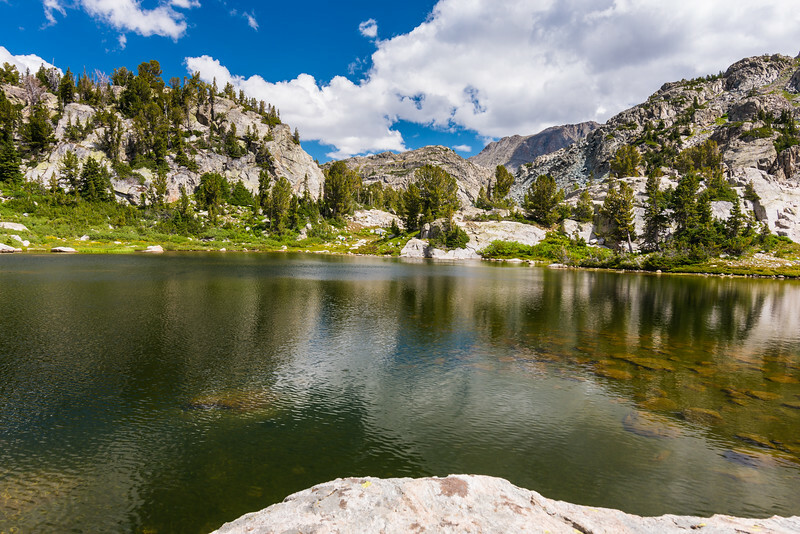 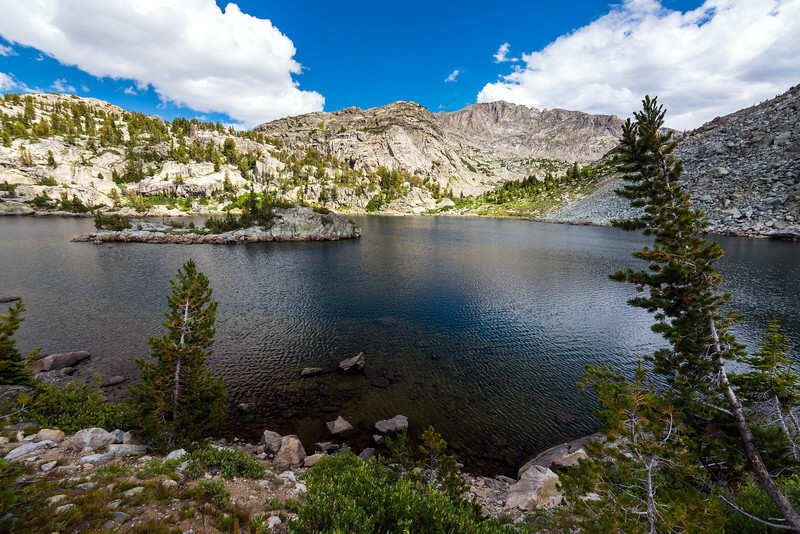 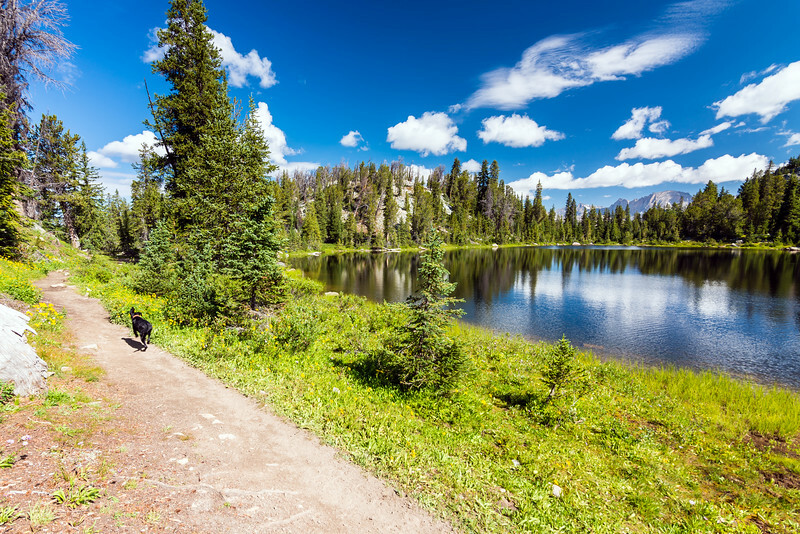 On day two, we took a morning jaunt to the foot of the upper lake and an afternoon hike up through Indian Basin to Indian Pass. 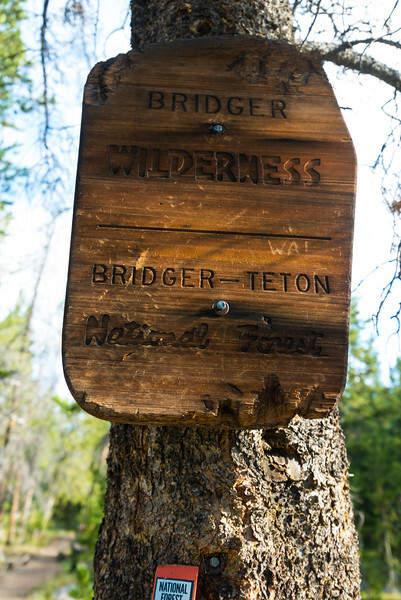 Day three brought us back to the trailhead. 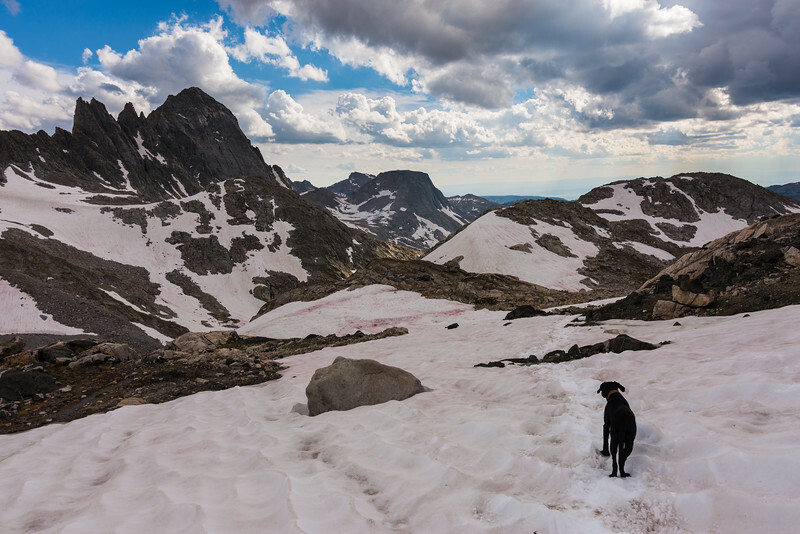 Photographer's Point. 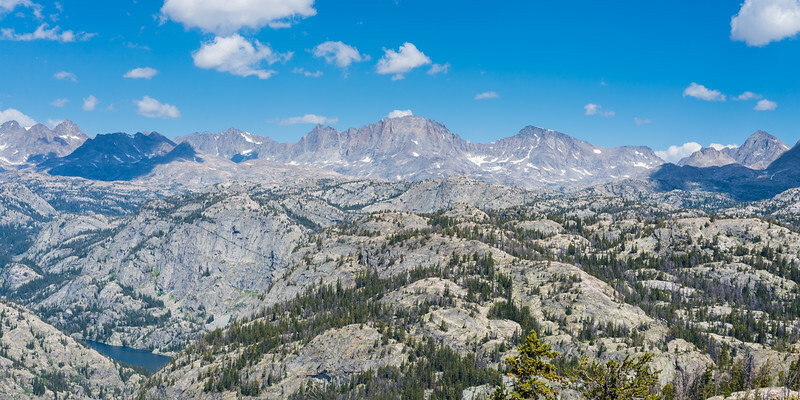 Fremont Peak is at center. 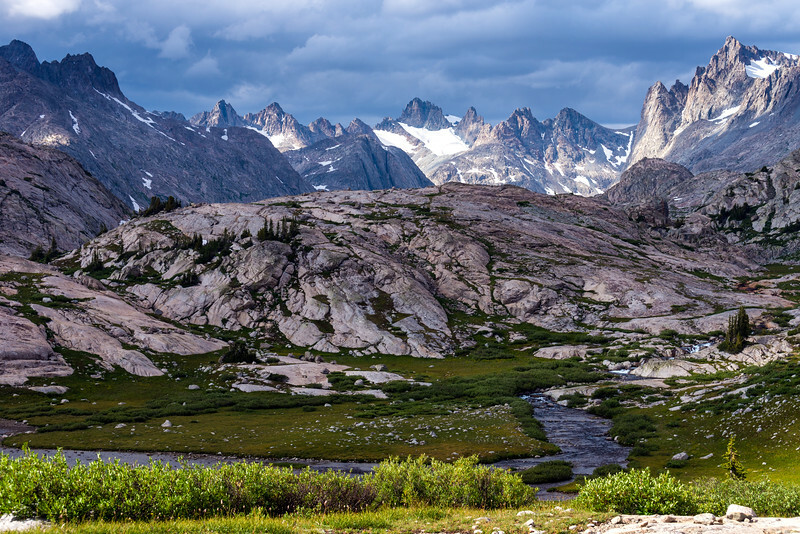 Titcomb and Indian Basins lie at its base (left and right of center).